This page shows how many words can be typed on the "angle mod" home block on all the different layouts. The angle mod only affects ANSI/ISO layouts. By Angle Mod Home block, we refer to the keys that your index, middle and ring fingers should rest on in "Home" position for touch typing, plus the keys directly above and below these, plus the thumbs. 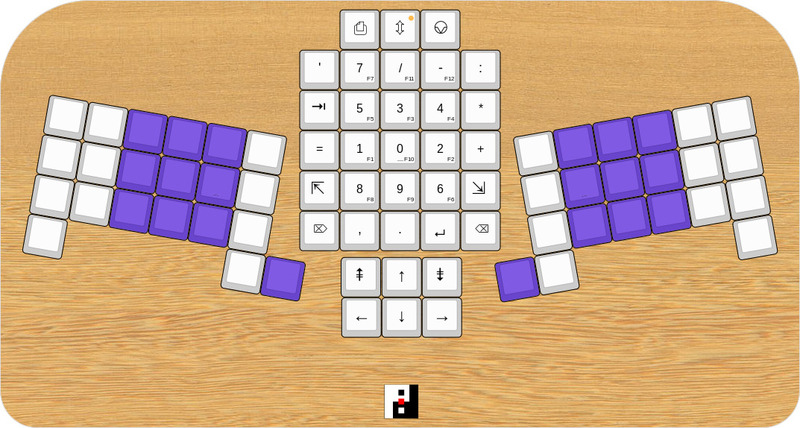 The difference between this version and the normal home block is that the bottom three left hand keys are shifted one column to the left, on ANSI and ISO layouts. These are usually (but not always) the nineteen keys shown below. Some layouts may define the home keys differently, but in general, they are as depicted below for the different form factors that we test.